Party Packages are on sale now through the Discovery Center’s website. 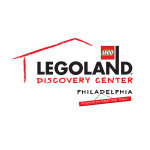 or for more information visit www.LEGOLANDDiscoveryCenter.com/Philadelphia. Istanbul, Turkey; Osaka, Tokyo, Japan and Shanghai, China.